There are a lot of tribes that were part of the history of the world. They have different cultures, traditions, political views, and characteristics. This article, however, will tackle the details Chippewa Tribe History. Ojibwa, one of the earliest tribe from 500 years ago according to the legends was said to live close to the mouth of Saint Lawrence River. When the year 1660 came, the tribe have moved towards the west direction only following the sacred minis which is a vision of a floating seashell. This vision of a floating seashell ended at the Straits of Mackinac which is a passageway of water that links the two lakes named Lake Huron and Lake Michigan and Anishinabedivided the tribe. It was split into three different groups. The first group was called the Potawatomi. This group had made its way to the south and there they had established a habitat in the range between Lake Michigan and Lake Huron. The next group was called the Ottawa that made a home in the north of Lake Huron. The last group named Ojibwa built its dwelling on the eastern shore of Lake Superior. The Potawatomi, the Ottawa, and the Ojibwa have early connections and relationship with each other which is why these three groups were called as the Three Fires. Their association with other group had helped them in some ways. There was a record that shows the evidence that the non-Native Americans and the Ojibwa have interacted with each other dated way back more than 350 years ago. 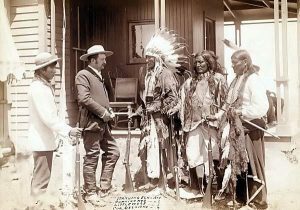 Although the Ojibwa tribe have not had any warfares with the Europeans, still they do not consider to be friendly with one another. According to the crusaders, the Ojibwa tribe were savages, rude and uncivilized group of people that is to be transformed and to change into Christians. However, to the fur brokers and sellers, they were reflected as possessions and properties who could be sold and dumped to other merchants or stores and only given a very small amount of water-like alcohol and some not so good food such as cheap bread as their payments. From the point of view of the colonizers, the tribe was said to be squanderer, waster, and spendthrift to the land where they were getting their needs. But in the minds of the ethnologists, the Ojibwa were very much helpful and became the sole target of their study, research, and experiment. They considered the society as special species. On the other hand, the Government describes the tribe as disobedient, stubborn, uncooperative, vulnerable and gullible people. Though there are still some people that respect and acknowledge the beautiful culture and tradition of Ojibwa, it cannot be denied that there are also some who have practiced treating Ojibwa culture with disrespect and indifference, this just means that the presence of that kind of people that categorizes and stereotyping others are present and are still living in this world. Also, Know about the Chippewa Indians, history, culture and the life style.